OLD PARKED CARS. 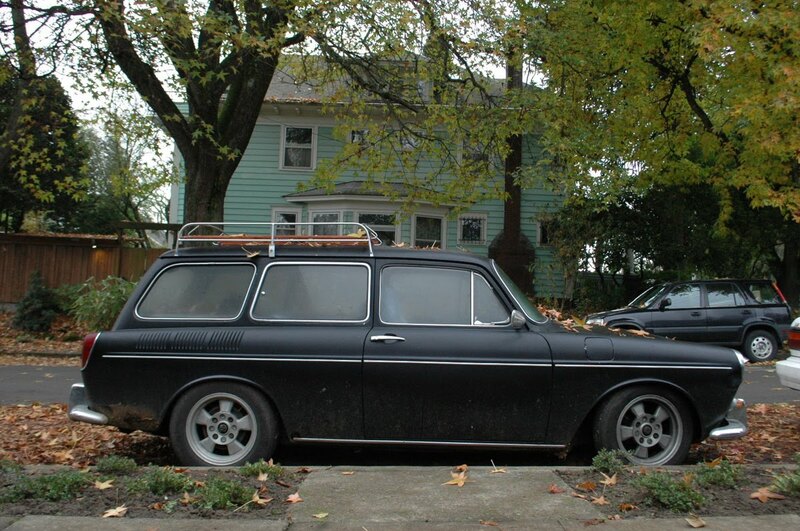 : 1968 Volkswagen Squareback. The wheels were made by a fellow named Dale Whitney. He had a foundry in St. Johns neighborhood of Portland, Oregon. They were distributed by Westphalia, if my memory isn't too f#@ked up. Had a set on my '69 Squareback; my first car. My dream car. California black plates! (yes, the comment was already made...) Awesome. I blew my 64 Squareback engine out in Albuquerque on the way back to CA. A car came up behind me and offered help. Told me probably the radiator went out. Of course the radiator was missing from the moment I purchased the car. 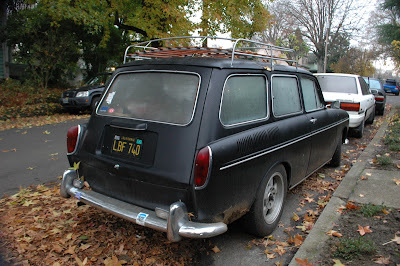 I had the same black 68 Squareback, sunroof and chrome mags. The black plate: the black plates were from '63 to 69 and all cars were retrofitted. The L series on this car is from '64, a '68 plate would be U, V, W or X. IN CA the plates stay with the car rather than with the owner; if one is lost, they're replaced with whatever is current and it stays with the car til it's taken off the road. The L plates are a mystery. ah, the romance of shabby old license plates. thanks for sharing, anon. 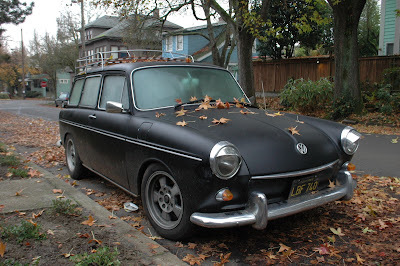 What's the history of this car because this is identical to my previous one. Identical. Also, is that a 98Rock sticker in the window? i'll try to remember to look at the originals and see if i can tell, porras. ...but nobody here knows anything about this car's history. Not a 98rock sticker on this one. That was a 93rock on a different square back. I'm about 99% sure that this is my old car. My first car in fact. If anyone knows anything please let me know. I'd like to track her down and say hi at least.